Purge impurities and detoxify stressing toxins. Re-balance and renew stressed or delicate sensitive skin. All facials include a skin consultation along with an appropriate mask to match your skin care concerns and needs. You also get relaxation and healing for the soul with a scalp, neck, arm and hand massage. Formulated with flaxseed, rich in omega-3 fatty acids to help strengthen skin. Anti-oxidants, vitamin C and red rooibos tea extract to brighten and protect skin from free radical damage. The tightening action reprograms and remodels the skin’s supportive matrix, and helps the skin’s new receptors to remember to stay lifted and tight. Restores firmness to sagging skin by compressing the tissues to lift, tighten and firm. The skin you want is under the skin you see. Reveal it with our powerful, non-surgical acid-hybrid peel. You’ll undo years of visible damage and premature age signs – without the redness, flaking, or actual “peeling” of the skin from a traditional peel. Our advanced peel technology removes the uppermost layers of the skin at a microscopic level, to immediately tighten, unclog pores, improve lines and leave skin with a younger, velvety-smooth texture. Plus, you’ll benefit from detoxifying activated charcoal to draw out aging impurities. Best results achieved with a series of treatments – I will choose from two different glycolic acid levels to meet your skin’s needs each time. • Smooths out rough skin texture and increases hydration. • Unclogs the most stubborn clogged pores and reduces appearance of pore size. • Softens stubborn, deeper or more calcified milia. • Detoxifies and stimulates microcirculation to remove skin-aging toxins. • Brighten dull, lifeless skin to reveal a rosy glow. • Lightens and brightens moderate levels of hyper-pigmentation. Microdermabrasion refines and rejuvenates the skin. The diamond microdermabrasion provides a Non-Surgical skin resurfacing procedure by using sterile diamond heads to peel and rub off the dead cells at the top skin layer. This treatment is meant to be progressive not aggressive. Generally results are more noticeable after the third treatment. After the first session, the skin will appear fresher, cleaner smoother and softer. Rejuvenation of sun damaged skin, reduction of age spots, minimization of blotchy skin coloring, reduction of acne and superficial scars from past injury, wrinkles, uneven pigmentation of the skin, extraction of blackheads & whiteheads and reduction of oily skin. 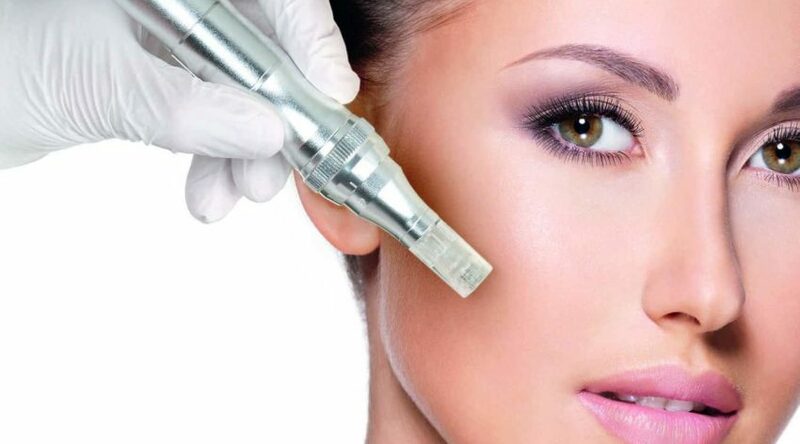 This creates invisible micro-perforations and stimulates cells called keratinocytes that activate the production of new collagen by stimulation, rather than damage. To boost the outcome I add to the skin a ProCell human growth serum obtained from human bone marrow stem cell cultures. Hero ingredient is Stem CytokinesTM obtained from adult human bone marrow stem cell cultures. Reiki is an energy healing treatment that works holistically; on the whole body, mind and spirit. Not a system of religious beliefs, Reiki is simply a relaxing treatment whereas natural healing vibrations are transmitted through the hands of a Reiki practitioner (acting as a conduit) to the body of the recipient. The purpose of a Reiki treatment is to relieve stress and pain, induce relaxation, release emotional blockages, accelerate natural healing, balance subtle bodies energies and support other medical modalities including traditional therapies. The International Center for Reiki Training has estimated that there are 4,000,000 people throughout the world who have taken at least one level of Reiki training. Today, Reiki is offered free of charge in more than 800 American Hospitals as a means to accelerate the healing process and to alleviate pain. In standard treatment Reiki energy flows from the practitioners hands into the client. The client is usually laying on a massage table but treatments can also be given while the client is seated or even standing. The client remains fully clothed. The practitioner places her/his hands on or near the client’s body in a series of hand positions. These include positions around the head and shoulders, the stomach, and feet. Other, more specific positions may be used based on the clients needs. Each position is held for three to ten minutes depending on how much Reiki the client needs at each position. The whole treatment usually lasts between 45 and 90 minutes. What one experiences during a Reiki treatment varies somewhat from person to person. However, feelings of deep relaxation are usually felt by all. In addition, many feel a wonderful glowing radiance that flows through and surrounds them. As the Reiki energy encourages one to let go of all tension, anxiety, fear or other negative feelings a state of peace and well-being is experienced. Some drift off to sleep or report a feeling of floating outside their bodies. At the end of the treatment, one feels refreshed with a more positive, balanced outlook. Distance Reiki works according to the law of similarity, which holds that we are all connected, as we are all energy matter and part of a larger whole. As such, during a distance Reiki session, the Reiki practitioner can link to the energy field of the recipient. I typically use the recipient’s photo. Reiki practitioners can send Reiki energy to anyone simply by directing our thoughts and energy. I prefer to set up a mutual time so the recipient is open to receiving the energy. However, distance Reiki can be sent to anyone, anywhere and at any time. The Skin Classic is a direct high frequency technology for minor skin irregularities. It is not a laser, but rather a Radio Frequency (electrical energy) treatment of epidermal conditions. It dehydrates and eliminates the top layer of a particular skin blemish so that new healthy skin can grow and replace the irregularity. The treatment is precise and applied directly to the area of concern. Sebaceous Hyperplasia: A common, benign condition of sebaceous glands in adults of middle age or older. Irregularities can be single or multiple and manifest as yellowish, soft, small papules on the face (particularly nose, cheeks,and forehead). Legions of sebaceous hyperplasia are benign, with no known potential for malignant transformation. Milia, Clogged Pores, Blackheads: A common skin irregularity that affects 85-100% of people at some time during their lives. It is characterized by noninflammatory follicular papules or comedones and by inflammatory papules, pustules, and nodules in its more severe forms. Acne vulgaris affects the areas of skin with the densest population of sebaceous follicles; these areas include the face, the upper part of the chest and the back. Skin Tags: Are small portions of skin that appear to be attached to or protrude from normal skin and are a common benign condition of the skin. Usually just a few millimeters in diameter, skin tags vary in appearance. Some are the same color as surrounding skin while others are hyperpigmented. In most cases, they are attached to the underlying skin by a small band of tissue called stalk or peduncle. Skin tags can occur almost anywhere there is skin. Areas for tags are the eyelids, neck, arm pits, upper chest (particularly under the female breasts), and groin folds. Tags are typically thought to occur in characteristic locations where skin rubs against skin or clothing. Seborrheic Keratosis: Is a minor skin irregularity of unknown origin. It commonly appears after age 40. These irregularities appear as wart-like growths in a variety of colors. They may appear in large numbers on the surface of the body. They are usually painless and benign, but may become irritated and itch. They may be cosmetically disfiguring and psychologically distressing as a result. They are typically located on the face, chest, shoulders, back or other areas. They may be slightly elevated or flat. A waxy or wart like appearance is noted with a pasted on appearance. They may be yellow, brown, black or flesh colored. FCR’s active ingredients are coral calcium and micro prickles derived from seaweed. The beneficial ingredients are delivered to the dermis and stimulates it for 24-72 hours promoting epidermal growth, removing keratin, lightning of melasma/dark spots and unclogging pores. The treatment process consists of 10 minute manual application followed by a 10 minute soothing gel mask. The ideal treatment frequency is 3-5 times with 2-4 week intervals between. Redness will develop for the first 1 to 2 days after treatment along with a “prickle” feel when the skin is touched. During 3-4 days the skin starts to become flaky as the skin starts to exfoliate. Exfoliation continues for up to a week and clear smooth skin is restored. I feel it is my core responsibility as an aesthetician to work with each client on an individual basis. pride myself with the ability to tailor solutions to work towards your own skin health care goals. I have an overwhelming passion for the skin care industry. I am constantly researching the latest treatments and driving my continued education with one goal in mind: beauty that goes beyond skin deep. I know that if my clients have the best skin possible, they can feel great for the rest of their lives! I believe in practicing responsibly with the utmost care, with due diligence to cleanliness and sanitation, and dedication to 100% customer satisfaction. I am proud to offer and use award winning BIOELEMENTS products that are designed for professionals, and created specifically for use in the treatment room. Bioelements products are designed to coax skin into shape – not assault it. BIOELEMENTS products contain organic botanical extracts, pure essential oils and advanced anti-aging ingredients. Bioelements has developed a one-of-a-kind system of Custom Blend Additives: 8 highly-concentrated formulas that zero in on every concern from signs of aging to irritation, and everything in between. With just a few drops of these specialized ingredient concentrations, I can customize your professional facial treatment or at-home products to what you need, when you need it.